FAQ's - Hawaii Mainland Administrators, LLC.Hawaii Mainland Administrators, LLC. A: HMA is a third-party administrator (TPA) that provides employers and health benefit plan members with services to help them get the most from their benefit plan. Q: What is a TPA? A: A TPA is a company that your employer hires to handle the many tasks associated with managing your health benefit plan. For example, HMA handles general enrollment tasks when new plan members sign up to receive health benefits. We also process your health claims, making sure they are handled quickly and accurately. HMA even has medical professionals on staff who can help coordinate your care if you are in the hospital or are dealing with a chronic health condition. Q: What does it mean to be self-funded? A: A self-funded benefit plan is financed by your employer, not an insurance carrier. Your employer pays for most of your health plan and claim costs. A: Most TPAs work with a preferred provider organization (PPO). A PPO is a network of health care providers who have agreed to discount (reduce) what they charge for services when treating members of a benefit plan. When you choose to see an in-network PPO health care provider, you will pay less for their services than if you had chosen an out-of-network (non-PPO) health care provider. 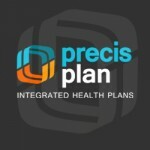 You have the option to see non-PPO providers, but you will pay more for their services. Your member ID card contains important information regarding your plan’s PPO. 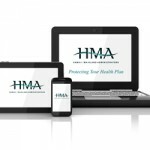 Visit www.HMA-HI.com/Find-a-provider or contact our customer service team to check a health care provider’s participation. 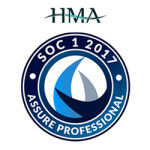 Q: What does HMA do for me? A: We provide you with prompt, personalized service. As a plan member served by us, you have a customer service team of helpful people available to assist you and answer questions about your health benefits. For example, you can ask us about the medical care your plan covers or about a specific health claim. One phone call is all it takes to reach us and speak to someone who can help you get the answers you need. You may also receive other services, depending on your health plan’s features, to help you and your covered family members use the health care system and receive appropriate health care at a reasonable cost. Q: How can I check the payment status of my claim? Q: How can I get a summary of benefits? A: The plan documents are located in the member documents and forms page. You can also contact your HR Department. They can supply you with a copy of the Plan Document and/or Summary Plan Description. Q: Who should I call for questions? Q: How do I get a new ID card? Q: What are my benefits? Q: What should I do in case of an emergency? A: For immediately medical attention or an emergency, please call 911. After your treatment you may need to contact HMA at 808-951-4621 or toll free 866-377-3977 Check the back of your ID card for additional information. Q: Who is considered a dependent? A: Dependent means the Participant’s Spouse and each eligible Child under 26 years of age. Q: How do I add my newborn child, adopted child, or newlywed spouse to my plan? A: The Participant must enroll a Dependent with the Trust Fund within 30 days of the date of eligibility. If not enrolled within the 30 days of eligibility, the dependent may be enrolled at the next open enrollment period which is held once a year or if a qualifying event occurs before the open enrollment period. (For instance, dependent loses his coverage under a plan other than the Trust Fund). This also must be done within the 30 day period of the qualifying event. Q: I lost my member ID card. How do I get a new one? A: You may request another ID card by contacting our Customer Service Department at 808-951-4621 or toll free 866-377-3977. Q: How long does it take to get a member ID card? A: New ID cards will be mailed within 5 business days from request. Q: Will my dependents receive member ID cards? A: Two ID cards are generated for participants with family coverage but extra cards can be ordered at any time by calling our Customer Service Department at 808-951-4621 or toll free 866-377-3977. Q: Will HMA cover over-the-counter (OTC) medications? A: No. For questions regarding pharmacy benefits, please contact your pharmacy benefits provider. If you do not know the phone number of your pharmacy benefits provider, call our Customer Service Department at 808-951-4621 or toll free 866-377-3977. Q: Who is responsible for notifying HMA regarding hospital outpatient or inpatient services? A: For Inpatient admittance, Emergency Room admittance, & Same Day Surgery admittance to the Hospitals, it is the Hospital’s responsibility to notify HMA. Q: Who is responsible to submit a request for prior authorization for services from a non-participating provider? A: Member should check benefits by calling the Customer Service Department at 808-951-4621 or toll free 866-377-3977. If a prior authorization request is required then it can be submitted by either the referring/ordering Physician or the treating Physician/Facility. Q: My physician has referred me to a specialist on the mainland. May I receive coverage for these services? A: All non-emergency out-of-state services require prior authorization. The member or his referring physician must call the HMA Health Services Dept at 808-951-4621, or toll free 866-377-3977. Q: I would like to get a second opinion from a mainland provider. Is it a covered benefit? Q: What is the difference between participating and non-participating providers? A: A non-participating provider is a provider who has not agreed to participate in the plan’s network. Claims submitted by a non-participating provider will be paid directly to the covered person. The covered person is responsible for checking benefits, submission of claims and payment for all non-eligible charges including the balance bill. Participating providers have signed a contract to participate in the plan’s network and agree to provide the needed healthcare services at the agreed upon fee. Members are encouraged to use participating providers for convenience and savings. Q: How can I find out if my healthcare provider is a participating provider? A: Contact our Customer Service Department at 808-951-4621 or toll free 866-377-3977. Q: How do I get reimbursed for services received from a non-participating provider? A: Submit claim/receipt copies to: HMA Attn: Claims Department PO Box 135005 Honolulu, HI 96801. Claims and receipts must include: Patient name and ID#, Provider TAX ID#, Date Of Service, diagnosis and procedures rendered. If information is missing claim may be rejected or denied for lack of information provided. Q: How do I get reimbursed for emergency services received in a foreign country? Q: Can a claim be reconsidered? A: Yes. Please contact our Customer Service Department at 808-951-4621 or toll free 866-377-3977. Q: What if I am still not satisfied with the final decision of my reconsidered claim? A: Members have the right to appeal 180 days from the adverse action. Contact our Customer Service Department at 808-951-4621 or toll free 866-377-3977. Q: How can I obtain a Benefits Summary? A: Contact your Administrator’s Office. Their number can be obtained by contacting our Customer Service Department at 808-951-4621 or toll free 866-377-3977. Q: How can I obtain an EOB (explanation of benefits)? Q: How do I submit a claim for vision appliances? Q: How do I update my COB (coordination of benefits)? A: Members should call our Customer Service Department at 808-951-4621 or toll free 866-377-3977 and provide their other insurance information over the phone. We also have a COB questionnaire we can mail to the member to complete and return.